Whale shark encounters have become very popular over the last few years. These school bus size fish are the largest in the world. While not a whale, they are bigger than many species of whales. Among other locations Mexico, Australia and the Philippines are the leader in whale shark encounters. Whale shark encounters are primarily done while snorkeling or Freediving. Many locations, such as the three mentioned, prohibit scuba diving with them. The encounters are generally shallow waters where the whale sharks come to feed on plankton and small fish. Whale Shark tourism is likely to be worth over US$42 million annually, and indicates that the industry is growing fast as a tourism niche. Some of the most popular whale shark destinations have an entire tourism industry built around the whale sharks. One of the benefits of this increased interest is that in many places those that used to hunt whale sharks are now earning more showing them off. They have become more valuable to them alive then dead. One of these locations that has greatly benefited from this Eco-tourism with whale sharks is Donsol, Sorsogon in the Bicol region of Luzon, Philippines. In the late 1990s, the local fisherman knew little about the Butanding, the local name for whale sharks, that visited from November to June. The Philippine government made fishing for them illegal and stopped a massive export market to Taiwan and China. The Donsol River, which is rich in plankton and krill, flows into the shallow Donsol Bay. A favorite foods of whale sharks they come here for the nourishment and to birth their young. Around 1999, the news that the whale sharks were consistently visiting Donsol Bay brought visitors by the hundreds. The national and local governments as well as local business established a code of conduct for interacting with these gentle giants. International environmental groups and foreign governments provided technical and financial assistance. Do not use scuba scooters, jet skis or any motorized underwater propulsion. A maximum of 6 swimmers per shark. Only one boat per whale shark. Outside of the areas where whale shark encounter tours happen, diver near by may still encounter them in a course of a dive. When this does happen divers should still follow the first five rules above to get the most out of their dive and so not to also injure the whale sharks. There are a few destinations that scuba divers are likely to find these huge animals while on a dive that do not offer snorkeling opportunities. Galapagos Islands is one destination that comes to mind. It is frequently said that the bubbles from scuba divers cause the whale sharks to move away. 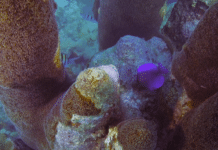 The high density of marine life helps reduces the impact of a diver being in the area. With all of the movement in the area it is easy for the whale shark to overlook the exhaust of the divers regulators. There is another location where diving with whale sharks is common and that is Gladden Spit and Silk Cayes Marine Reserve of Belize. While whale shark encounter do happen at times in the Caribbean destinations, they are mostly migratory with few staying in any given area very long. Gladden Spit seems to be the destination for many of these migratory animals. Each year from April to June they stay in the area in large numbers. Three different species of snapper: Mutton snappers, Cubera snappers and Dog snappers aggravate to the Gladden Spit each year to spawn. They release their eggs and sperm into the waters around the period of the full moon. The whale sharks find these very tasty and are very active eating what they can. At Gladden Spit the water is deeper than most of the destinations that offer snorkeling with whale sharks. Also the divers bubbles are not something that scares away the animals, in fact they help draw them nearer. The snapper spawn at night near the surface and retreat to deeper water during the day. The whale sharks follows their program staying a little deeper. Scuba divers swim down to 60 to 80 feet and level out to wait for any whale sharks. It is believed that the divers bubbles causes the whale shark to think that there is a spawning in progress and they will come to investigate. The whale shark guidelines are similar to the list above with some variations. Divers are allowed to dive to 80 feet and the last dive must start before 4:30pm. These rules are designed so that divers do not interfere with the snapper spawning cycle. Violations of the rules can result in finds as high as $5,000 per infraction.  Whale Shark Conservation – Is It Too Little Too Late? The increase awareness that these Eco-tourism activities have created has helped protected these gentle giants. However, is it too little too late? The IUCN World Conservation Congress 2016 is to be held in Hawaii from 1 to 10 September. An updated IUCN Red List of Threatened Species™, including assessments of many species will be presented during that conference. There will be three major changes to the list. Whale sharks and winghead sharks will be upgraded from “Vulnerable” to “Endangered” and Bornean orangutans will be upgraded to Critically Endangered, just one step from extinction in the wild. The whale shark population is estimated to have decreased by over 50% in the last three generations (75 years). 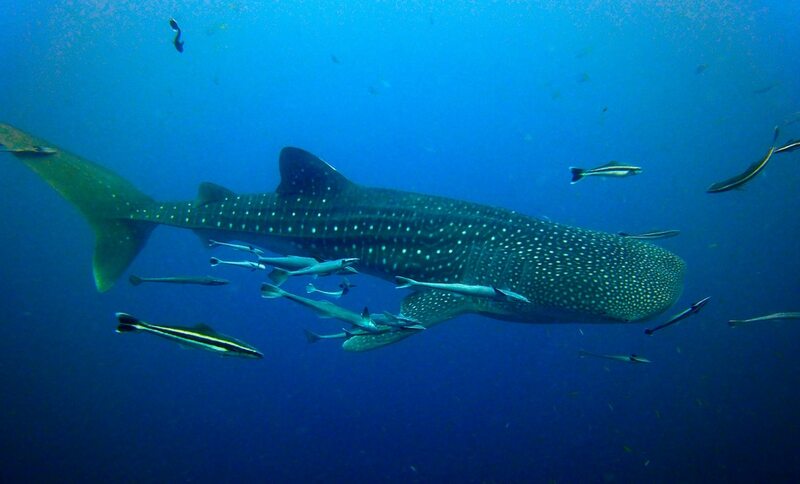 Whale shark population is mostly within the Indo-Pacific region with 75% of the world wide numbers found there. That overall area has seen a 63% reduction with some local areas seeing over a 90% reduction. 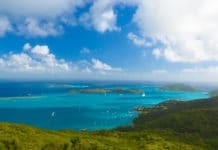 The smaller population in the Atlantic, including the Caribbean Sea has seen a smaller reduction of around 30%. 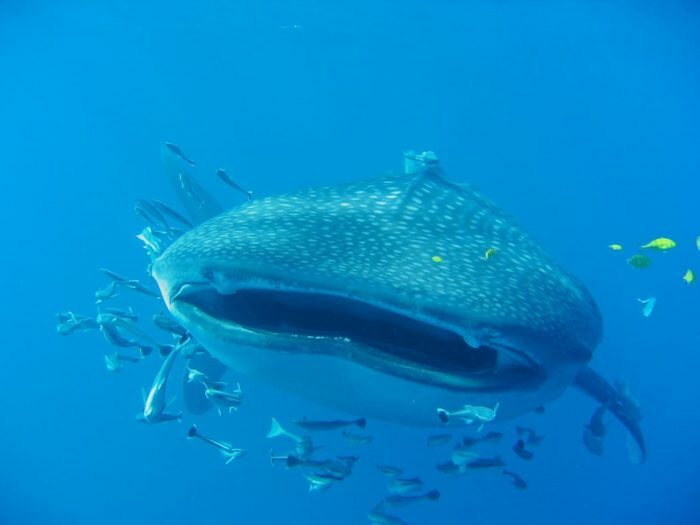 Still, researchers and long time divers in Belize have noted fewer individual whale sharks. Many countries already have laws that protect whale sharks and some have laws that protect all endangered species. The red list is generally what most countries use. This sad declaration what the whale shark is now endangered will add protection in some countries. There are a few countries such as Oman and China that still allow fishing of whale sharks. Hopefully, the increased status will help convince these countries to protect whale sharks.